Bloomington, Ind. – Cook Medical’s Endoscopy clinical division announces the introduction of the latest addition to the EchoTip ProCore® product line, the EchoTip ProCore 20 gage needle with ReCoil Stylet™. This needle’s flexible design allows physicians to obtain histological samples from difficult anatomical locations1. The EchoTip ProCore 20 gage needle can be used with an ultrasound endoscope for fine needle biopsy (FNB) of submucosal lesions, mediastinal masses, lymph nodes and intraperitoneal masses within or adjacent to the gastrointestinal tract. This needle features the innovative ReCoil Stylet, whose automatic recoiling capability helps nurses and technicians more easily manage the stylet potentially minimizing the risk of contamination1. The EchoTip ProCore product line is designed with a core-trap technology that allows physicians to collect tissue samples during a minimally invasive procedure. The high-definition dimpling pattern on the needle helps physicians visualize the needle under ultrasound1. “The EchoTip ProCore 20 gage needle, developed with physician feedback, gives clinicians the flexibility to target small lesions while potentially increasing valuable histological yields,” said Barry Slowey, global business unit leader for Cook Medical’s Endoscopy division. The EchoTip ProCore 20 gage needle has inspired additional research. Begun earlier this year and scheduled for completion in 2017, the study is titled, “A Multicenter Trial, Comparing a 25G EUS Fine Needle Aspiration (FNA) Device With a 20G EUS ProCore Fine Needle Biopsy (FNB) Device (ASPRO).” This international study, coordinated by the Erasmus University Medical Center in Rotterdam, will compare the diagnostic yields accuracy of the 25 gage vs. the 20 gage Cook Medical needles. 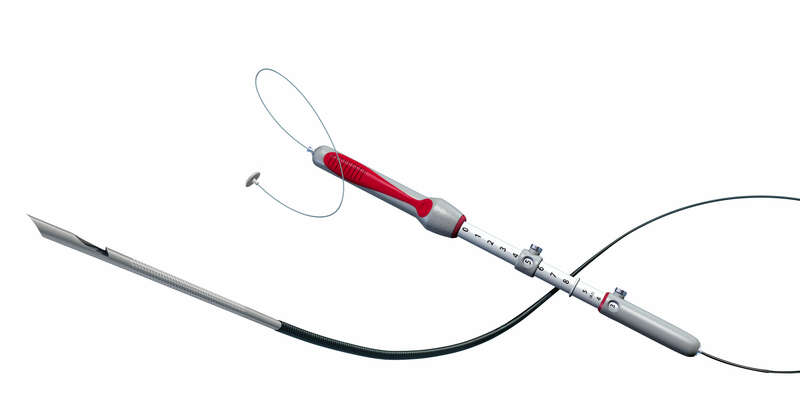 For more information about the EchoTip ProCore 20 gage needle and other endoscopy products, visit cookmedical.com/endoscopy. Follow @CookGastro on Twitter. To see how and why the ReCoil Stylet technology was developed by Cook Medical’s engineers, watch this video: cookmedical.com/p/recoil. Prof. Marc Giovannini is a paid consultant for Cook Medical. This study is financially supported by Cook Medical. 1Data on file at Cook Medical.